Revelry specializes in savoury belgian waffles (but also serves dessert waffles, a selection of cakes and homemade authentic tiramisu and panna cotta). Instead of the usual buttermilk waffles that are much more chewy and dense (and filling! ), they have specially created belgian waffles to be crispy, light and fluffy with loads of air pockets within it to complement the large portions of their mains. 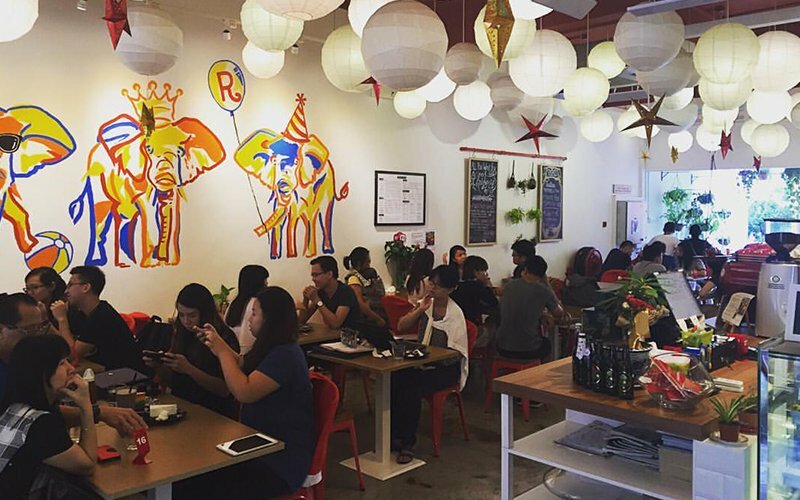 The taste and texture of Revelry's waffles are very different as compared to those that you see around and they're hoping to introduce this new taste to the cafe scene in Singapore!